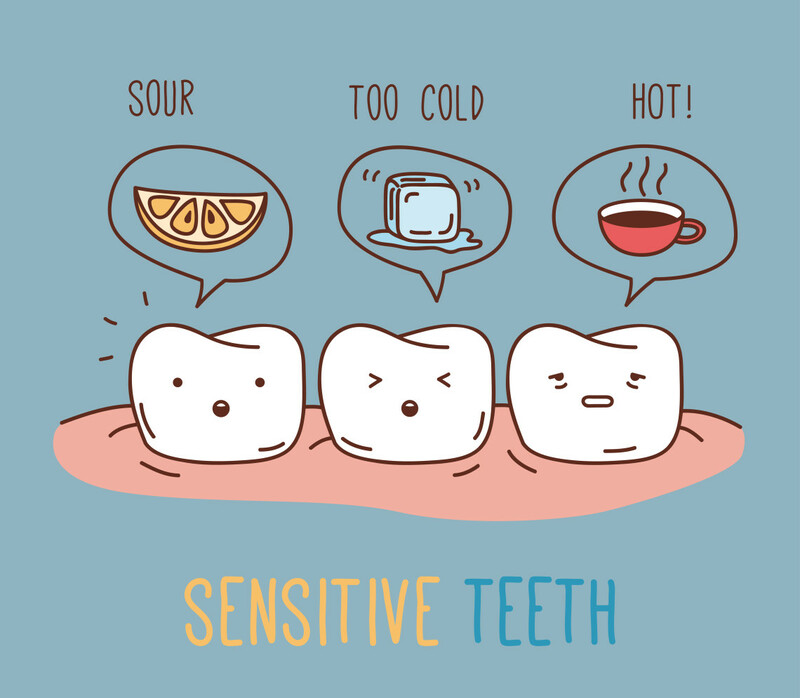 Small twinges or excitement of tissues in the tooth or at its base is called as sensitive tooth. Drinking and eating of hot and cold things, sweets, when teeth touching the other teeth or the touch of the tongue might be the result of sensitive tooth. Dentin is the middle layer of the tooth. Dentin is coated by enamel above the gum line. Below the gum line it will be covered by cementum. From the tooth pulp tubules extend to dentins that contain branches of nerves. When the enamel or the cementum is damaged then the nerve cells are exposed that creates more sensitivity. This could be the result of hard brushing, improper maintenance of dental care and hygiene, wearing of the tooth, cavities that are not treated, cracking and leaking of fillings, gums that are receding and improper food habits. This is mainly caused by the action of pulp in the tooth. The main causes are infection or decay in that region, improper filling, pressure created due to clenching and grinding of teeth and teeth that are cracked and broken. The first procedure will be proper cleaning and if your teeth are found sensitive for cleaning a local anaesthesia might be applied before the cleaning. After that application of a fluoride layer over your teeth is carried out that not only results in reduction of sensitivity and also in strengthening of your teeth. Application of some in-office products to block the tubules is also done. Altering the tubules by laser beam also results in reduction of sensitivity. Using tooth pastes that contain fluoride also is recommended. Damaged or dying nerves in teeth will be removed for Pulpal sensitivity. After removing the nerve your dentist might place a substance that is non-reactive that will remove the sensitivity from your tooth.